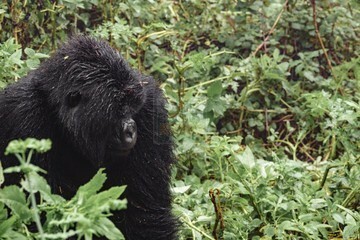 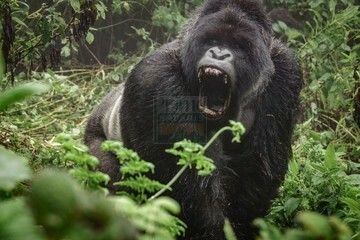 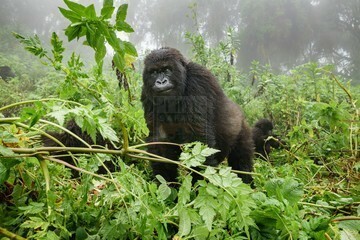 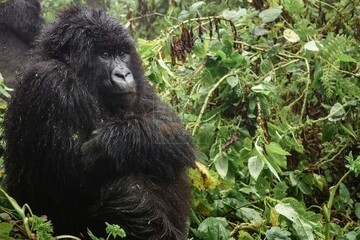 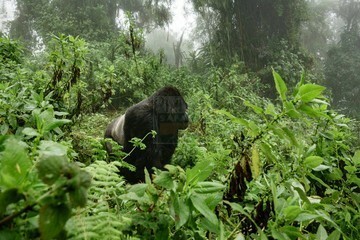 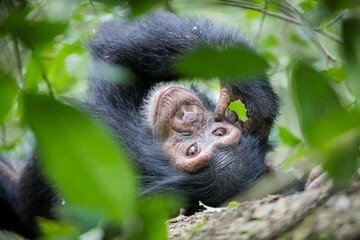 To undertake a Gorilla safari in Uganda, one requires a gorilla permit which is sold at $600 for foreign non residents in Uganda solely sold by the Uganda Wildlife Authority (UWA) to the Non-resident foreigners of Uganda, $500 for foreign residents and 250,000/= for the Citizens of the East African Federation. 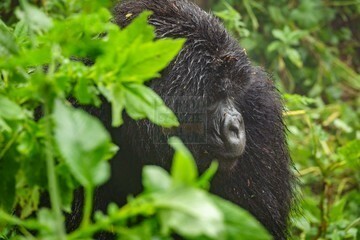 Gorilla seeing tours in Uganda can be conducted all year round despite the challenging rainy months that stretch from end of March through May and the end of Oct through November. The direct viewing of mountain gorillas in Uganda`s Bwindi and Mgahinga forests takes 1 hour but the general experience lasts 2 – 8 hours depending on the gorilla movement. 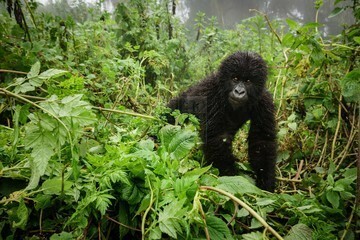 One enjoys hiking the steep slopes, deep gorges, crossing streams amidst the dense forest cover that is full of other fauna like duikers and myriad of bird species. 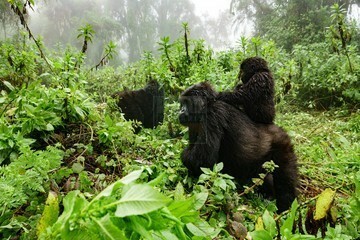 We are experts in planning and organising Customised Uganda Gorilla tours taking travelers Gorilla trekking in Bwindi and Mgahinga forests coupled with chimpanzee tracking, wildlife safaris, cultural excursions and scenery seeing.One can choose from a variety of our pre-designed popular Gorilla safaris in Uganda or even join scheduled group Gorilla tours in Uganda to save on costs or enjoy an inter country interaction with compeletely new people. 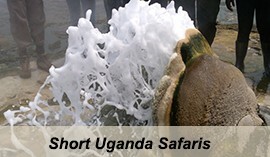 We are the leading Uganda Gorilla safari company based in Kampala Uganda and we specialize in E.African safaris and tours. 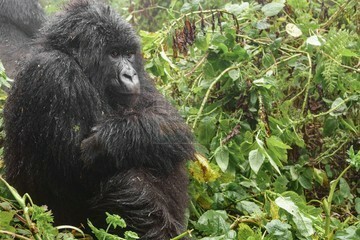 Uganda Gorilla trekking safaris are increasingly gaining space in the hearts of world travelers not only because these countries have capacity of presenting the Big 5 wild game viewing in their natural habitats but also because Uganda & Rwanda have a range of primates including the critically endangered mountain gorillas in Bwindi Impenetrable Forest national park and Mgahinga Gorilla Park for Uganda, Chimpanzees and various monkey species thriving in the tropical forests of Uganda . 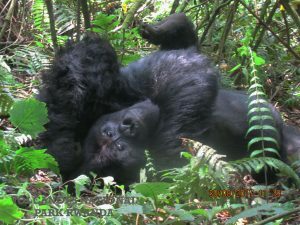 Contact us and inquire about your dream Gorilla safari tour in Uganda for a dream come true ultimate Gorilla safari in Africa. 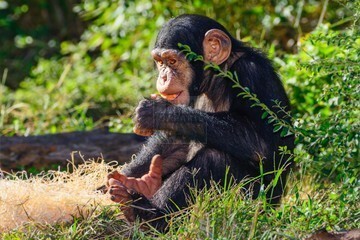 The Sanctuary for the Orphanaged Chimpanzees, Lake Victoria – the world’s largest tropical lake and the second largest fresh water lake, Lake Mburo National Park – one of the famous savannah Uganda wildlife safari destinations, Sipi Falls, Mabamba Swamp and Ziwa Rhino Sanctuary are all fascinating and each can be explored on a day excursion from Kampala and its surrounding areas. 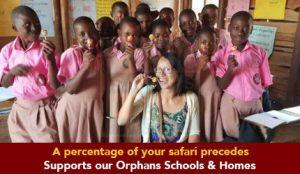 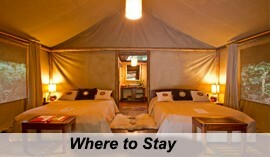 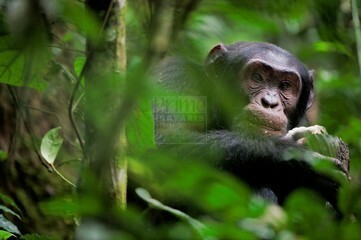 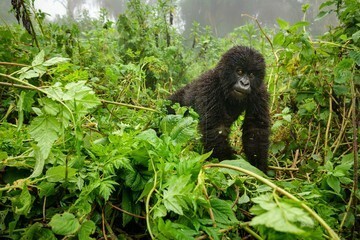 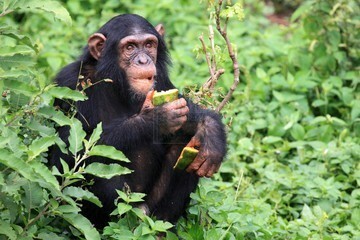 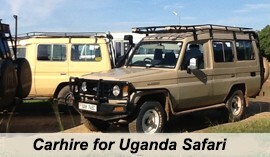 Our Long Uganda Gorilla Safaris range from 6 days to any number of days that suit your safari interests. 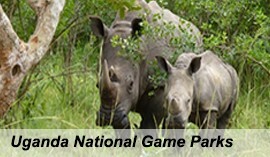 These Safaris in Uganda include Gorilla trekking in Bwindi forest or Mgahinga but spread out to explore Uganda`s amazing Wildlife in her enormous national game parks, beautiful scenery, game reserves, people & culture, night life,agricultural tours as well volunteer tourism.